The author of ‘Trust: Creating the foundation for entrepreneurship in developing countries’ presents a snapshot from his latest work to highlight the importance of a simple set of principles in achieving entrepreneurial excellence. In the past decade, India has become the flavor du jour for investors, whether one uses portfolio flows or direct investment as a measure. As an academic and investor-entrepreneur in India, and in other emerging markets, I often try to regroup with my colleagues to ask ourselves, what do investors need to know about business models in India? My new book ‘Trust’ is an attempt to synthesise some of my recent learnings, a moment of reflection in my continuing journey. Trust-building in the developing world, as ‘soft’ as it sounds, is the only hard-headed, practical, solution for entrepreneurs to build sustainable enterprises amidst compromised institutional environments. If you think that’s too strong, please read on! A set of simple principles can help the entrepreneur navigate towards a trusted position in environments that more often than not evoke caution, reticence, and even outright mistrust. Foremost among these is a shift in mindset on the entrepreneur’s part. As I put it in the book, as a would-be entrepreneur, you cannot just create, you have to (simultaneously) create the (enabling) conditions to create. Think of this as having to invest in reassurance in environments where experience has conditioned people to be naturally risk-averse and cautious. That way, armed with ways to reassure others, you can get quality talent to gravitate towards you – why would a smart young person otherwise hold her career hostage to someone she can’t count on? – you can get risk capital to take a chance on you, you can get business partners to co-invest in your vision, often by literally underwriting the business, or at least by backstopping it by, say, providing a guaranteed contract or purchase order or whatever else. One example I’m fond of is that of Charles Shao, an entrepreneur building a high-tech dairy in China, Huaxia, starting in Beijing and Shanghai, which he ultimately sold successfully to a much larger enterprise. Shao ended up specifically investing in education programmes for others in the dairy industry – even giving away his content and methods for free -to build a groundswell of support for his radical ideas on how to keep cows ‘happy’ with better technology monitoring, so that their yields would go up. That turned out to be an important piece of the ecosystem to nurture talent that helped him, and others. Unsurprisingly, investors were suspicious of this ‘giving up IP (intellectual property) approach’ but we’ve seen glimpses of such moves in the technology industry from which Shao had emerged, for example, in open-source movements, in mandatory second-sourcing agreements, and so on. After all, entrepreneurship often amounts to creative reapplications of familiar ideas to new contexts. So, in this example, the entrepreneur had to embrace this mindset of creating the necessary enabling conditions, in parallel to building out his technology, and to educate his investors and even competitors of the need to do this. Now, folks say this sounds intriguing, but it’s impractical, it’s too costly. That turns out to be incorrect. This is the most practical way to go about building amidst the infrastructure-deficit developing world. Without creating the groundswell for mobilising talent towards a tech future for dairy, he’d have struggled daily, possibly for years on end, to grow. This way attention paid to it early on paved the way for smooth growth and a successful exit. What’s not to like! Indeed, there are so many ways in which to invest in Trust, so to speak, depending on the country and product or service being provided – use of quality ombudsman to promptly address complaints, leveraging increasingly ubiquitous and decentralised technology to find opportunities to delight, investing in credible word-of-mouth dissemination when communication channels are limited or decrepit, and so on. My point is just that investing in trust is as much an issue of a mindset as it is of spending cash. In ‘Trust’, I also emphasise that technology is not a panacea at all. It’s but one important arrow in the quiver for the entrepreneur to address the problems of development, but it’s neither necessary nor sufficient, so to speak. In the same dairy industry for instance, Amul in India has built a super successful brand of high quality milk and milk products by cleverly building on the social structure of the rural Indian community. I’m not absolving Amul of the need to invest in technology, far from it, they should do much more on that front, just pointing out that there are many ways to address the entrepreneurial issue of building a system that delivers affordable, high quality dairy products, and that high-tech solutions aren’t the only ones, or even the most profitable ones that enable this. Merely the use of technology does not obviate the need for Trust. It might even exacerbate it. Technology can be enabling, of course, but can also be destabilising. And instability in already unstable parts of the developing world is a double whammy that doesn’t bode well for success of the entrepreneur. The ways in which the microfinance revolution has spread across parts of Latin America, Asia and Africa illustrate this amply in several stories in the book. Lastly, I think entrepreneurs in the developing world have to rid themselves of the antagonistic mindset vis-à-vis the state, or the patronising attitude that the state always gets it wrong. Remember that the objective function of the bureaucrat or politician is necessarily somewhat different from that of the private entrepreneur, that the state brings you something you can never achieve on your own (huge scale! ), and that a partnership requires a lot of bridge-building to inspire confidence. In fact, those who invest in cultivating trust with the state – often resulting from an initiative taken by the entrepreneur rather than by representatives of the government – have a better shot, I believe, at impact through scale. In Trust, I contrast examples from Brazil and India to make this point. To juxtapose unlikely bedfellows, Adam Smith in the 18th century emphasised trust as “the hidden engine of economic progress,” without quite saying how it should be cultivated. Fast forward some centuries to Jack Ma of Alibaba fame, the school teacher from Hangzhou, emphasising that the cultivation of trust is the key to how his company has pioneered online commerce over the past two decades in China. Ultimately, it’s about creating the conditions to create when these just don’t exist. 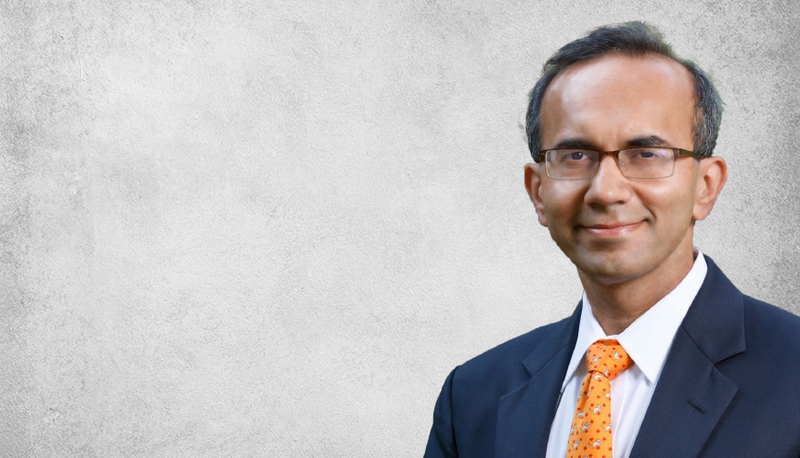 Tarun Khanna is the Jorge Paulo Lemann Professor at Harvard Business School and the first director of the Lakshmi Mittal and Family South Asia Institute at Harvard. In 2018, he was named by the Government of India to a committee to select India’s Institutes of Eminence, a handful of public and private universities aspiring to achieve world-class excellence in the next decades.